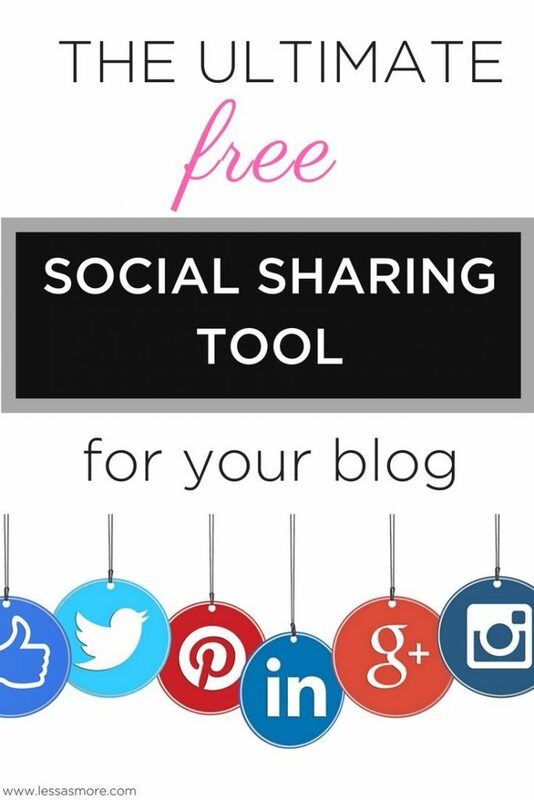 You want to make social sharing from your blog easy, right? And you want your audience to interact with you instead of just moving along to the next thing? Making social sharing easy is one of the most important things you have to do if you want to run a successful blog. Because if sharing your content is hard work for your readers, they simply WONT do it. And that means the amazing content, that you have put so much effort into, will be left unseen. 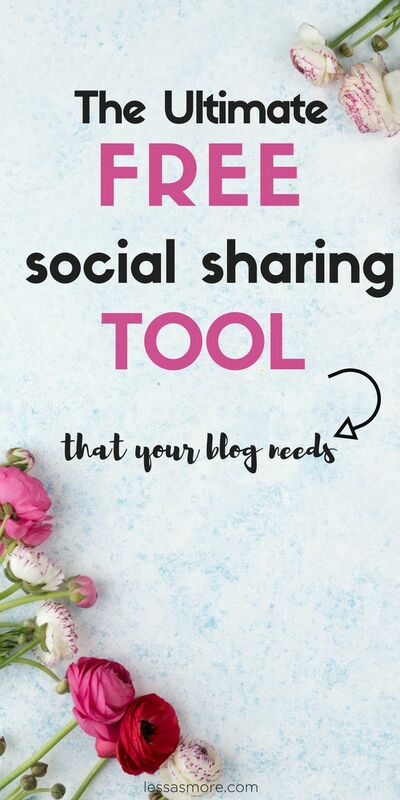 If you use this social sharing tool, it will help you get people to share your content more often — and actually enjoy sharing it. I’ve used it for some time now and I’ve noticed a dramatic increase in social shares. Let me make one important clarification – this is NOT a sponsored post and I am not earning a commission for publishing this article. I simply want to help you, fella bloggers, boost your social media traffic. I, myself, wasted so much time and effort in trying different tools, many of which would only slow down my website, look unpretty and bring more disturbance than benefit. Well, the hustle has finally ended, all thanks to Social Warfare plugin for WordPress. Below, I would like to focus on the unique features that the Social Warfare (SW) offers. For a design nerd, such as myself, this one feature comes first. The attention to design aesthetic of SW buttons is second to none. Its paid version also allows you to customize the buttons’ style to your liking. As I already mentioned, I had tried many different tools. And all of them had a negative impact on my page load time! SW is the only plugin that is lighting fast and your load times remain solid with it. Check out my latest snapshot from Pingdom Speed Test. You probably already know that but let me emphasize it again – page speed matters for your SEO and impacts your Google site ranking. And I bet organic traffic is at least equally important to you. A lot of free tools offer only limited features with their free versions and you are forced to upgrade to their paid versions if you want to get the functionality you need. That’s not the case with SW whose free version offers a lot of pretty cool features. I personally find it sufficient, especially if you are on a budget. 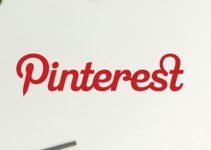 Social sharing network buttons for Facebook, Twitter, Google+, Pinterest, Linkedin, and StumbleUpon. 4 primary placement locations for your buttons. Social share counts, including Tweet counts. Popular posts widget based on the number of social shares per post. 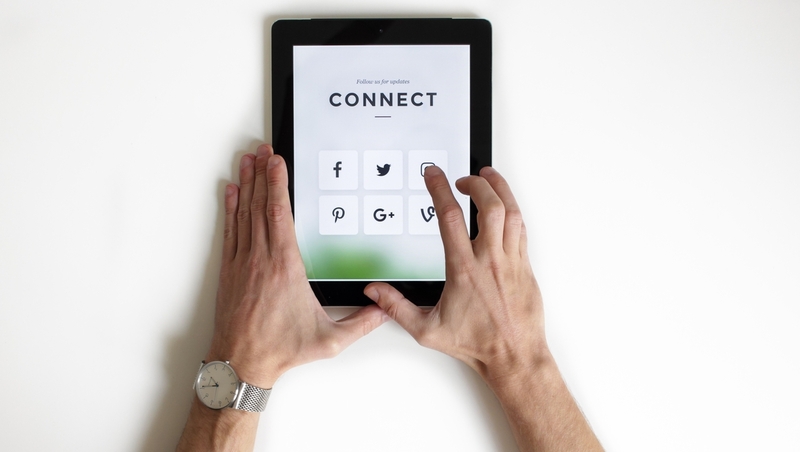 Social sharing network buttons for Reddit, Tumblr, Yummly, WhatsApp, Pocket, Buffer, Hacker News, Flipboard, Email. Hover Pin button for your images. Various styles, custom design, and placement of your sharing buttons and Click-to-tweet. Share recovery tool for your lost counts. Social authorship for Facebook, Twitter and more. Link shortening, analytics campaign tracking, and button click tracking. Before you would have had to install a separate plugin just to add Click-To-Tweet boxes into your content, with SW, however, this feature is built right in. For me, SW fills all the necessary gaps that all the other social sharing plugins have failed to do in the past. I love it and will continue to use it until something better comes out on the market. I highly recommend you check it out too for your WordPress website or blog. Where can I download or buy this plugin? Download the free down version of the plugin here. I think that you should start with the free version. And if you decide that you would like to have the features that the pro version offers, you can always upgrade. I would really appreciate it if you give it a bit of love and share it on one of the social networks using the oh-so-cool SW tool :-). I love minimalism of all shapes and sizes as well as healthy living. 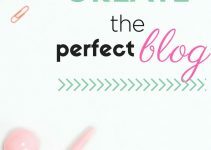 I create, blog, travel, and mom. I help other entrepreneurs grow their online businesses and blog. Thanks for the recommendation! I use about four different plugins for social, but this one sounds like it has everything included. I’ll check it out. Thanks for sharing! I am definitely going to add this to my page. Also- how do I check my website’s stats (speed, etc.)? Thank you for sharing this, I will definitely give it a try. This is exactly what I have been looking for! I use this plugin and removed the old ones I had. It is ascetically pleasing and so much better than my last. That’s what happened to me too. I deleted all other social sharing plugins I was using before. I too use social warfare and love it! I am surprised that so many people still don’t know about it :). I am sure you will love it :-). Although I already have a tool to share content on my blog, this one needs a try. Try it, you will love it :-). Thanks for the recommendation. Definitely gonna give it a try! It is, I am surprised it’s not more popular than it is :-). Thanks for the blog post! I am doing this today! I promise that you won’t be sorry :-). Thank you for sharing! I just added them to my page, it was so simple and they look great! Keep up the great work. I’m off to read more of your articles. 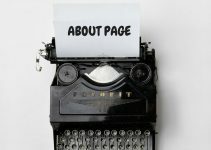 Thanks for giving the idea how to make a fabulous about page. Thank you so much!!! Hi Abhishek! Not sure what you mean by google blogger? Are you referring to improving your google search rankings? Less As More Copyright © 2019.